Yes, we still do that! If you’re like us and still maintain an old Photon/Lumonics V-Series CO2 laser or two, then you’ll be happy to know that we still service and support these lasers. Yes, they are dinosaurs, but they’re paid for and they keep running – even if they’re not ideally maintained. They are workhorses, and they can compete with any CO2 laser technology on the market today. 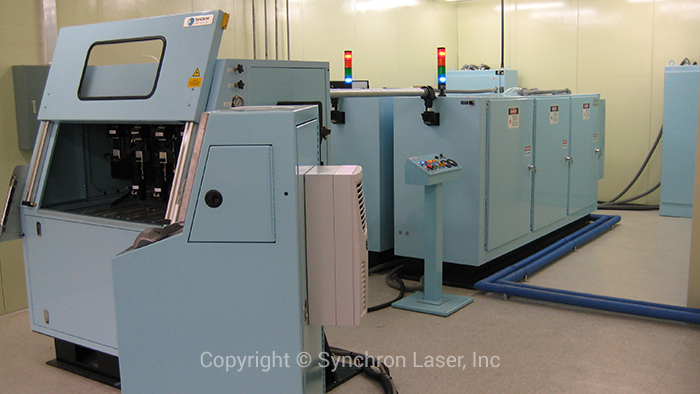 We have refurbished and rebuilt countless lasers over the years, many of which were first built in the early 1970’s. These lasers continue in use to this day in industries such as pharmaceuticals, electronics, Aerospace, industrial, and textiles, and many have run in excess of 200,000 hours. They will undoubtedly be counted on to operate for many years to come. Thus, we have not forgotten our roots and will continue to support and service these lasers as long as there is a need. For newer systems, our customers will receive support and troubleshooting from individuals who actually built their system, and we stand prepared to support our customers day and night. We made this promise in 1978, and our promise carries forward with every new generation. That’s our promise and we honor it for every customer as we know production often does not stop at 5:00pm.